We raise the bar for what’s possible with therapy. With our collaborative in-depth approach to treatment and recovery, our expert, integrated team of clinicians and specialists work together to set customized patient goals, overcome patient challenges, and provide innovative solutions to improve patient recovery. Our Intensive Stroke Recovery Programs address everything from less severe to the most catastrophic cases. Research studies show intensive neuro-therapeutic intervention provides substantial neurological gains through neural plasticity to post-stroke patients when immediately implemented. Here is where we focus on the re-development of the neural pathways to regain the patient’s quality of life. Our individual and intensive programs are designed to offer a full continuum of care treatment options. 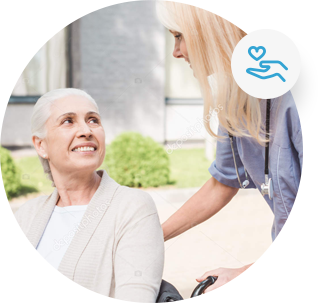 Our Parkinson’s Programs utilize a consistent regimen of therapeutic treatment, including LSVT(R), which has been shown to slow the progress of PD. Our unique approach utilizes sensory motor input to achieve the brain’s maximum potential of neuroplasticity. Our programs are designed to offer a full continuum of care treatment options including, Full Day & Half Day Rehabilitation Programs uniquely customized to achieve patient’s goals. Our Full Day Program offers multiple, intensive and aggressive therapies, scheduled throughout an entire day as part of a pre-determined frequency of weekly visits. Designed to reduce neurological deficits and to re-develop neural pathways and improve patient function. Similar to the Full Day Rehab Program, the Half Day Rehab Program is designed to provide the same multiple, intensive, aggressive therapies but with less time commitment each day. This program is only offered upon our staff’s recommendation if it is believed to provide the patient the most effective outcome. Always available for dedicated one-on-one, patient to professional care, we plan your therapeutic treatments at a time most convenient to your schedule. Additional services we provide which compliment our unique approach to treatment include: informative clinical research trials, return-to-work support and counseling, ongoing physician follow-up, patient and family support groups, educational social media outlet, functional fitness, recreational and wellness programs. Premier Therapy Solutions’ system of empathetic care and team of neurological experts will be there for you throughout your recovery. We offer the highest level of therapeutic intervention, education, support groups and sports fitness opportunities. Using the most advanced evidence-based clinical treatments, our individualized unique therapies will help you reach your goals—going above and beyond where it was once thought impossible. Now is an exciting time for Neuroscience and Physical Medicine. Through neuroplasticity, we better understand how the brain functions, and how we can impact its ability to rewire itself through targeted therapies. Research studies show that comprehensive rehabilitation care is most effective in achieving the best recovery after stroke. Choose Premier Therapy Solutions for your therapeutic needs and let us show you how. We define our quality of patient care by how successful we are with our outcomes. Our priority is getting every patient to lead the most independent and fulfilling life possible. We have the most state-of-the-art technology and tools at our fingertips and the most accomplished leading experts in the field. With the use of brain-based therapies, we can now offer recovery where it was never thought possible before. Contact us now for more information.